For 50 years Shimpei Asai's negatives have remained unseen outside of Japan. Allowing us to experience what life on the road with The Beatles was really like, Genesis is delighted to share nearly 200 of Asai’s photographs - uncropped and in their original colour - in HELLO, GOODBYE: The Beatles in Tokyo, 1966. 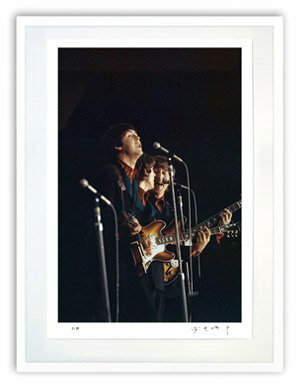 Curated from the pages of this forthcoming signed edition, we are also proud to announce six exclusive HELLO, GOODBYE Fine Art Prints (a choice of four individual portraits and two group photographs). 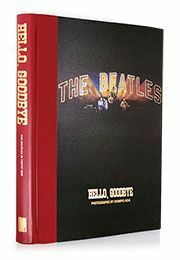 For a limited time Genesis readers ordering the HELLO, GOODBYE limited edition book can also benefit from a saving on accompanying Fine Art Print purchases. This reader offer is available automatically when you checkout online. Alternatively, quote this offer when you order by phone or email. We look forward to hearing from you.